The LowCVP is working with its stakeholder community to ensure the introduction of this new data is of most benefit to the UK market and consumers. Work over the next few months will help transition both the marketing information and the government-related policies to further encourage the uptake of low emission vehicles. From late 2017 LowCVP expects the new WLTP data to become available and it is working to help present this to consumers in the most consistent way and to ensure labelling, information, policies and, ultimately, taxation frameworks are aligned with the new WLTP as soon as practical. Why do we need a new fuel economy test? 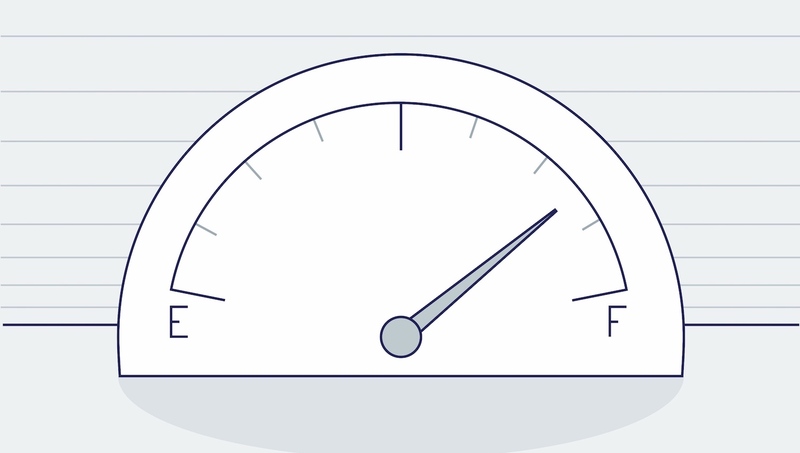 Predicting how much fuel we might use in a new car is vitally important for drivers but can be challenging. The current ‘official’ figures are primarily intended as a way of comparing different cars, but the test (known as the NEDC) has its origins in the 1970s and has not kept up with rapidly developing car technology, and has become less representative of ‘real driving’. This has led to a significant difference between the miles per gallon reported in the official test and what most drivers really achieve in normal driving. During normal driving conditions the fuel consumption can vary widely due to factors such as driving style, road and traffic conditions, vehicle options and weather etc. With the increasing range of powertrain technologies available in today’s cars, it is important that car buyers have accurate and more realistic information about the performance and capability of new cars and can make a really informed decision about which will be best for their individual journey. To give a better picture of what fuel economy we might expect when choosing a new car, the automotive industry and governments have come together to develop a new CO2 and fuel consumption test which will give more realistic and representative figures. This test will also be used to measure the emissions which affect air quality. Every new car model will be tested against WLTP starting from 1st September 2017, and by September 2018 all new cars on sale will have WLTP test information. Importantly, the new WLTP test will become the only truly comparable measure across every car and manufacturer which is verified by governments and certification bodies and this data should not be confused or compared with other road tests or ‘real world’ indices. How have test conditions been improved under WLTP? WLTP tests are conducted in a laboratory to ensure accuracy and repeatability, but introduce much more representative testing conditions based on data from ‘real driving’ and will provide a more accurate basis for measuring emissions and calculating a car’s fuel consumption. This will provide consumers with more detailed and realistic car performance data. The new test involves a significant number of key changes compared to the ‘old’ NEDC test. What new data will we see for WLTP tested cars? Fuel consumption values will be presented for four different driving conditions with an overall combined figure for petrol, diesel, hybrid and plug-in hybrid cars. Each of these elements is based on the typical types of journeys made by drivers. A mixed journey average of both of the elements in the test. City Centre journey with maximum 35 mph. Town or suburban driving, maximum 50 mph. Rural driving, A-road or dual carriageway journey, maximum 60 mph. Motorway driving with maximum speed of 81 mph, typical of a European motorway. A mixed journey average of all the elements. 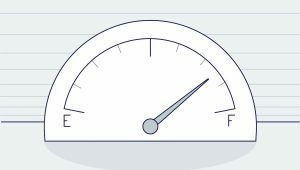 Conventional petrol and diesel or hybrid cars will have fuel consumption figures for each of the five elements above. Plug-in hybrid cars are more complex and will have figures for each cycle showing consumption when the engine is running (battery depleted) and a weighted combined figure which accounts for the vehicle operating on both the battery and the internal combustion engine, typical of a longer journey. Battery electric cars have an electricity consumption value for the combined cycle only. Plug-in hybrid and battery electric cars will now have two electric range figures – a ‘city’ range, using the low city and medium town cycles, and a combined range, using the complete cycle. These give the ranges when running on electricity only. All these figures are designed to help consumers understand which technology and vehicle is best suited to their driving and journey patterns. The new test places more emphasis on the detailed vehicle specification than the old test when determining fuel consumption and CO2 emissions. The recognition of factors such as the mass and aerodynamics of the vehicle, the rolling resistance of the tyres and the impact of options fitted to the car by the manufacturer is greatly improved to give a more accurate set of values for an individual vehicle. Drivers will be able to better understand how any options including wheels, tyres, panoramic roof, or any additional weight such as alarms, parking sensors, electric seats etc might affect fuel consumption. Manufacturers and the Government’s Vehicle Certification Agency are expected to progressively start showing WLTP car performance figures, as new models are approved, on their websites during 2018. Why will WLTP type approved cars still have NEDC fuel consumption and CO2 figures? Cars tested under WLTP will also have NEDC CO2 and fuel consumption values until 2020. Manufacturers must also continue to use the NEDC CO2 figure when reporting their fleet average CO2 emission performance of new cars (which were set against NEDC until 2020/2021). In order to help car buyers compare fuel consumption and vehicle tax between different cars, some of which will be tested under the old NEDC test and some under the new WLTP test, the use of these NEDC equivalent values will ensure appropriate comparisons are still possible during the transition. However, it is vital that NEDC and WLTP are not confused. A person could mistakenly think a car tested under WLTP was less efficient and so more expensive to run than a similar car tested under NEDC, which may show lower CO2 emissions, and better fuel economy. Avoiding this confusion is the primary aim of the LowCVP working group. A number of car buyer information sources are covered by the EU Car Labelling Directive. These include car labels and displays at dealer showrooms, manufacturers’ printed brochures and adverts. The regulations currently state that NEDC mpg and CO2 emission values are to be presented to consumers. These regulations will need to be amended in order for WLTP figures to be shown, and this is expected to happen in due course. In the meantime, however, it is likely that car buying websites will show NEDC mpg and CO2 emission values until the complete transition to WLTP. What happens with vehicle tax? Cars approved under WLTP will continue to be taxed against the NEDC CO2 emission value, so there is no change to the CO2 based taxation systems in the short term. This includes vehicle tax (VED) and company car tax (BIK). The LowCVP is working with a wide range of government departments and stakeholders to assess the impact of regulatory changes on taxation bands but it is not expected that any structural changes will be made before 2019. Taxation continues to be based on NEDC CO2 emission figure. Car labels and printed marketing material show NEDC fuel consumption and CO2 values, as well as electricity consumption and electric range. LowCVP work continues to develop standardised consumer presentation. Car labels and printed marketing material show NEDC fuel consumption and CO2 values. Taxation and CO2 related policy switches to WLTP CO2 emission figures. Car labels and printed marketing materials adopt WLTP fuel consumption and CO2 values.